Prestley Snipes: Should YOU Sign with a RECORD LABEL in the SOCIAL MEDIA Era??? Should YOU Sign with a RECORD LABEL in the SOCIAL MEDIA Era??? I'm really tired of these new "social media marketers" acting like "social media", is a new thing. Social media has been going on for over a century. Anytime, media is used, and it gets people talking, that's social media. A "social media platform" and "social media" are two completely different things. Social media can come in the form of a billboard that you see on the highway, or a commercial that you see on TV. In this video, I explain why record labels were the original "social media marketing agencies" and how record labels used social media, such as flyers, magazines, commercial and billboards, to get their message across, socially. Word of mouth has always been one of the best forms of advertisement and "social media" is really just a fancy way of saying "word-of-mouth". The goal is to create media (content), which will get people talking. If you think that buying a "social media marketing" package, from some random guy on Instagram, is all you'll need to win, in the entertainment business, then you may need to watch this video and do more research on the topic. Instagram, is an outlet for media, which allows people to be social, with others, in real time. 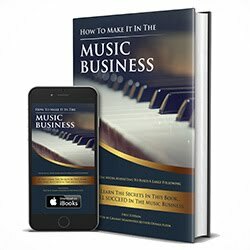 I recently came across a paid promotion, on Instagram, where a marketer was selling his "social media marketing" program, catered to independent music artists. He then said, on the video, "Don't sign with a record label. Sign with a social media marketing agency". In 2019, you may ask, "should one sign with a record label?". My answer to the question is, yes. If the opportunity is correct, getting with a good record label may be one of the best choices that you can make, for your music career. A team of talented people may be able to help you with planning, production and brainstorming, which is important, if you want to be successful. All of my best ideas and creations were the result of having a team. I run ideas by my team, and they often help to further enhance my ideas. If you are lucky enough to find a good record label, who has your best interest at heart, give them a shot. Signing with a record label doesn't necessarily mean you're "selling your soul" or that you are about to get ripped off. Have mutual agreements in place, with your team (record label) and focus on your role, within the team, and you should be fine. I also discuss the success of Lil Nas X and his hit song "Old Town Road". There's a saying, "there's no I, in the word team".